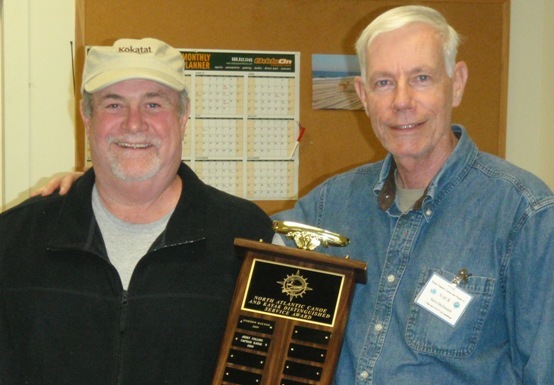 The Board of Directors of North Atlantic Canoe & Kayak is pleased to announce that they have presented Jerry Collins of Captain Kayak with our Distinguished Service Award. Captain Jerry has served in the past as our vice president and provides our membership with a launch site at the shop on the Browns River in Sayville. He has let us use his kayaks, afforded us member discounts on kayaks and equipment, and provided us with a great meeting place. He also graciously permitted NACK the use of his shop area last spring for our paddle making class. We made quite a mess but had it all cleaned up by the end of the day. Thanks Jerry for your support of NACK and congratulations on your well deserved award.